A black 1957 convertible Jaguar cruises up the California coast on Highway 1, hugging the sea. Ocean lathers the rocks. The car heads north between Big Sur and Carmel with the top down and the radio on. The handsome driver, wind in his hair, is Clint Eastwood. Ed Mitchell still remembers this opening scene from the 1971 film “Play it Again Misty.” He first saw it when he was a 14-year-old kid living in a foster home in rural Washington. He wanted to be there, on that coast, in beautiful Monterey County. Ed is nothing, if not determined. I met Ed, now 67, this summer as he was in the midst of a campaign for a seat on Monterey County’s Board of Supervisors. In a June primary election for his district he garnered just over 39 percent of the vote — not enough to beat John Phillips (who got 49 percent), but enough to force a runoff in November. Ed’s a firm handshake, big smile kind of guy with slicked back graying hair, a neatly trimmed dark mustache, cowboy hat, and a button down shirt. He’s a little bit country and a little bit business. I had seen his photo numerous times on his campaign website and other publications. When he invited me to his home, and to meet his horses, I expected a pickup truck in the driveway — something to match the hat and the ranch. Instead, there was a Mini Cooper, with his mug plastered to the side. Ed, I realized, is also full of surprises. His latest crusade is something of a surprise, even to himself. Not the running for office part, but the one where he became outspoken about the risks of fracking — the oil and gas industry’s controversial practice of blasting water, sand, and chemicals underground at high pressure to release oil and gas. He got “suckered into the dark world of giving a crap,” he tells me, tongue-in-cheek. At first Ed, a career military guy and aerospace engineer, might seem an unlikely person to become an anti-fracking activist — but that’s only if you have a limited view of fracking’s impacts, and Ed doesn’t. Three years ago as Ed attended a Board of Supervisors meeting, one of the agenda items that came up was for an oil-drilling permit in the southern part of the county on land owned by the Bureau of Land Management (BLM). South County is also home to the San Ardo Oil Field where, as far as Ed was concerned, drilling had been going on without incident since the 1940s. So, Ed got up to speak — impromptu. It was the beginning of his public fight over fracking. What Ed didn’t know at the time, was the battle over those drilling permits was going to be years long and the outcome incredibly significant for all of California. Many people may know of Monterey County not for it’s vegetables, but for it’s beaches, bays, and tony towns. 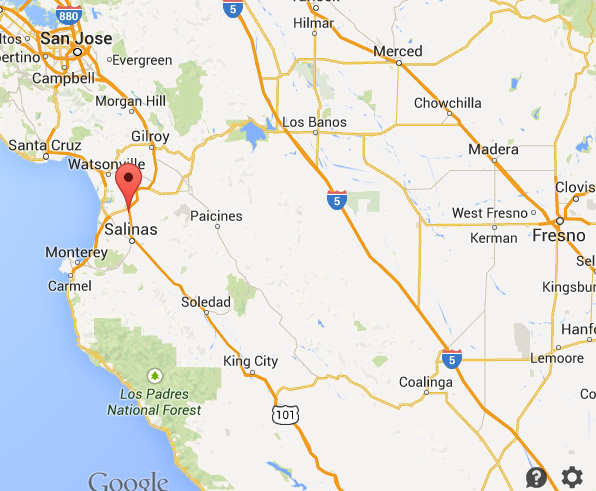 But it also contains the lesser visited but no less vital Salinas Valley. 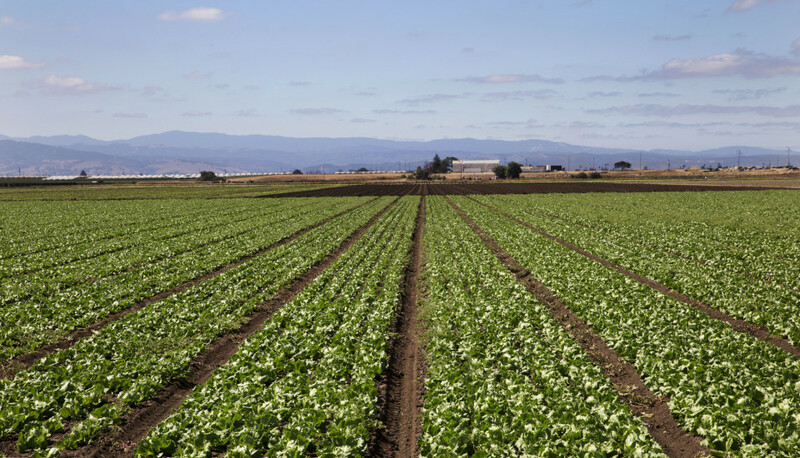 It’s the muse for numerous John Steinbeck novels and the likely source of most of your salad. 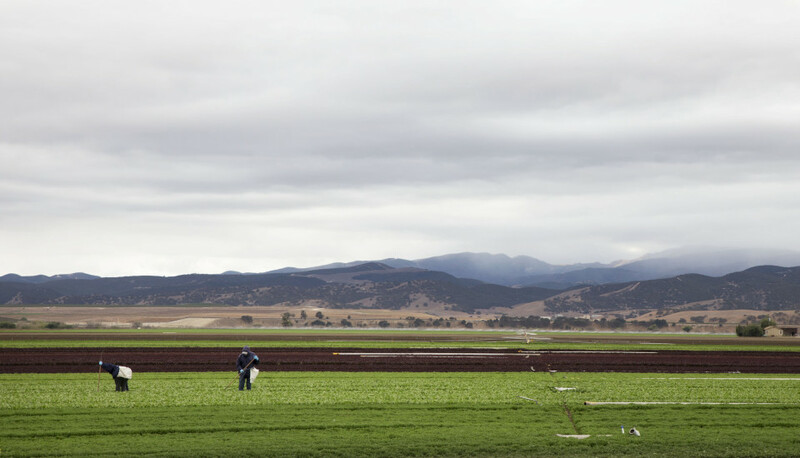 Agriculture here yields more than $4 billion annually and 45,000 jobs. Running through the valley is the Salinas River, which does a disappearing act during the dry summers, dipping and diving northwest 170 miles before being swallowed by the gaping mouth of Monterey Bay. Ed believes that fracking poses a risk to the county’s agricultural lands by threatening the watershed, including the Salinas River, its tributaries and reservoirs, and the underground aquifers on which most people depend on for water. A spill of fracking fluid or wastewater from the process could pollute surface water, or seep underground. And there is also the threat of groundwater being contaminated if fracking fluid, which can contain numerous toxic chemicals, seeps through cracks in the cement barrier at the well bore or move through fissures in underground layers of rock. The prospect of having too little water or having the remaining resources polluted is serious business in Monterey County, as it is in most of parched California. The well on Ed’s ranch first went dry in 1995 and he’s had to plumb even deeper twice already. The aquifer, which holds the area’s groundwater, is overdrafted — more water is taken out then replenished. It’s a bank account in the red. Without water, farmers and vintners will be in big trouble. While it was Clint Eastwood’s fast car and the windy coastal roads of Monterey County that first caught Ed’s attention, it was the agricultural feel of the area that made he and his wife Jan decide to buy a house in Prunedale 23 years ago at the north end of the Salinas Valley. 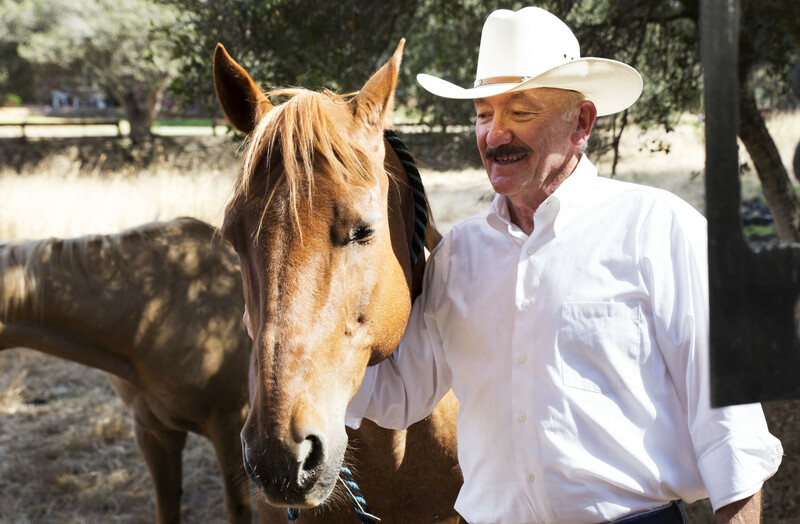 His decision to run for office and to take a stand against fracking stems from his desire to protect the rural integrity of the county — its ranches, farms, and open spaces. To get to Ed’s house you have to snake your way into a treed canyon, past neighboring goats and ducks and alpaca. A sign at the gate marks your entrance and it’s a fitting name — Ranch Forgotten. The place was in bad shape when Ed and Jan bought it — but they fixed it up, felled trees, cleared land for pasture, and now it houses rescue horses for the nonprofit Redwings Horse Sanctuary. The horses that come to Ranch Forgotten are often only there temporarily, fostered for a time before being sent to more permanent homes. It resonates with Ed’s own story. He also learned that he wanted to get out of there. Being a foster kid meant being different and he was sick of it. So, it’s not surprising that he ended up clawing his way into West Point (his other option was heading to Vietnam) after a year in a military prep school and desperate attempts to win scholarships. “I was one of those driven poor kids that was going to get out of where I was and go some place better,” he says. Looking back, Ed’s story is something of the quintessential bootstraps American story. From West Point, he served 25 years in the Army, going from infantry to advanced training in engineering and management, working with the Joint Space Command. He went to the Naval Post Graduate School and earned a fellowship with the RAND Corporation. He left the military and worked as an aerospace systems engineer at Lockheed-Martin and then as a consultant for high-tech companies. It’s that training which taught him a thing or two about evaluating risk. “I’m from high tech and we have a definition for risk, which is the probability something will occur times the consequence equals the value of your risk,” he explains. Remember that Gulf of Mexico disaster a few years ago with the Deepwater Horizon? “With safeguards, government watching, and some of the best oil people in the world, a low probability event happened and devastated the economy of five states,” said Ed. 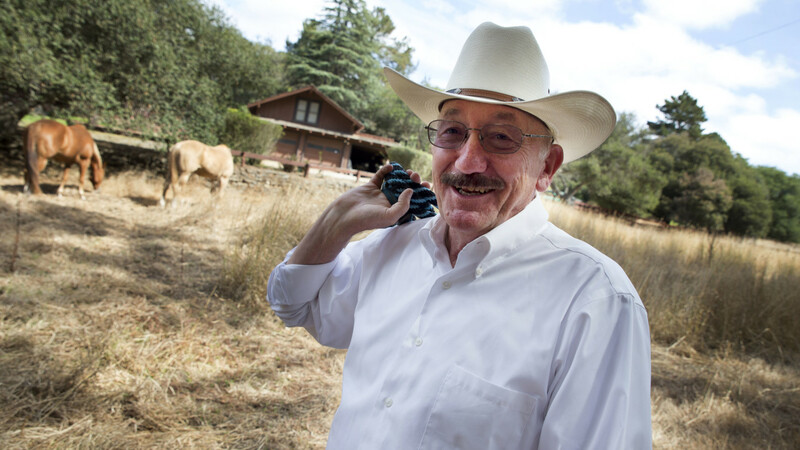 He believes there is a low probability that fracking could damage Monterey County’s water, but if it does it would be calamitous, especially to the agriculture industry. That could mean more jobs lost in farming, than one could gain from drilling. His group has added something important to the larger conversation about fracking – a middle ground. One of the biggest risks may be California’s shaky ground. It’s a generational issue, he contends. Ever since he first heard about plans to frack south Monterey county, he has been focused on figuring out how to minimize damage. And this is where Ed differs from a lot of other anti-fracking activists. 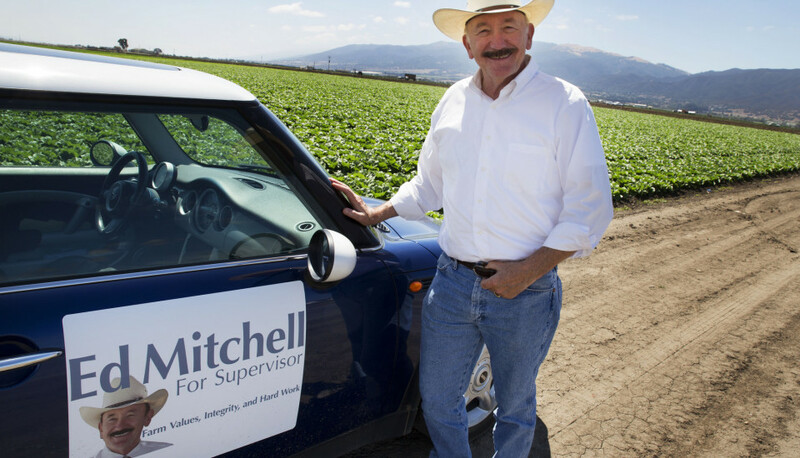 He co-founded a group called Protect Salinas Valley and has taken the position — with his group and in his campaign for the Board of Supervisors — that has earned him flak from some environmental groups. Earlier this spring, Monterey County’s Planning Commission put forth an ordinance that would ban fracking in residential areas in the county. While it sounded like a good proposal on its surface, Ed says, it meant that you could still frack in unincorporated areas, which actually works out to be 95 percent of the county. “It was well intended,” he says, but it left too much unprotected. Instead, Ed and other activists asked for a two-year moratorium to accompany the ordinance so they could figure out how to protect the other 95 percent of the county. The Planning Commission accepted their recommendation, but for the last several months the plan has been in limbo, waiting for approval by the county’s Board of Supervisors. Ed thinks the organized activists in his county got out ahead of the oil industry, but now industry is putting on pressure – trying to buy some time. For the last few years there has been a push by a coalition of organizations (most falling under the umbrella of Californians Against Fracking) and political allies to pass a statewide moratorium against fracking in California. So far, the efforts have come up short. The state is working on drafting regulations for fracking that may help increase some transparency around the process and enact some safeguards, but these won’t be in place until the summer of 2015. And even then, it’s not clear how effective they will be. Many concerned residents and activists have taken the fight to the county level instead and this November both nearby Santa Barbara County and San Benito County will have ballot initiatives before voters to ban fracking (and other “high intensity” production techniques). Santa Cruz County passed a ban earlier this year. “We said let’s talk about some of the negative impacts that we see that are coming down that can affect farming and vintners and people in the valley and see how we can work around or limit those impacts,” said Ed. “And it’s allowed us to get into the debate and be listened to by some people.” Although not everyone has taken to his position and even friends have told him he’s sold out to the oil companies, but his group has added something important to the larger conversation about fracking – a middle ground. I’ve been following the impacts of fracking in communities across the country for years and the people who have risen up to fight back. Some are career activists, but many more are accidental activists – regular folks who step up because the issue suddenly impacts their lives. Taken together, it’s a diverse group of people, ranging from left-leaning hybrid drivers to NRA member Republicans. You don’t have to be a liberal to want clean water and air. But that’s not always clear in some media reports. “Activists get painted into the ‘well, they’re extremists, they’re treehugging, anti-American, they don’t want to balance the budget,’” says Ed. But he sees the activists in his county as the mainstream – even the ones who take a stronger position than he does. “They are not extreme in any shape or form. These are valid issues and they need to be discussed,” he says. While not much fracking has been done in the county yet, companies are interested. Ed found that out at the Board of Supervisors meeting three years ago. Those drilling permits that he heard about that day were part of a much bigger story. In September of 2011 the BLM auctioned off 2,500 acres of South County land to oil companies. The Sierra Club and the Center for Biological Diversity sued, charging that the agency failed to consider the impacts of fracking. In April 2013 a federal judge ruled that the BLM did in fact violate the National Environmental Policy Act for not adequately examining how fracking could impact the leased land. Following the decision the BLM commissioned a technical study to look at well stimulation technology (WST), which includes fracking. Their study came out in September, just days after I met Ed. Then it chose a narrow scope, mainly looking at direct impacts and largely ignoring the indirect, though often substantial impacts, which include things like increased truck traffic and managing millions of gallons of toxic wastewater. Ed says that the most troubling finding from the report was that it showed fracking in California often happens at shallow depths, which poses an even greater risk to groundwater compared to other states where fracking occurs much deeper. Also of concern was that some of the chemicals used in the process were found to have “acute toxicity.” But the report was again limited by only voluntary data from industry, which means some of the worst chemicals may be undisclosed. When it comes to water demand, it was found that well-stimulation technology operations could contribute to local constraints on water availability, especially during droughts (which, is right now). The result is essentially a green light for the BLM to begin offering leases again to oil and gas companies interested in fracking or other well stimulation. I suppose it’s a fitting conclusion for having taken a limited scope, with limited information. And it’s totally in accord with our approach to oil and gas production across the country – what we don’t know may hurt us, but why try and find out for sure. Drill now, deal with the consequences later. This is precisely what Ed is hoping to avoid in Monterey County but it speaks volumes about what he and other activists are up against. And it makes his potential election to the county’s Board of Supervisors all that more important for those concerned about fracking. On election night he will be with his team at the back room bar of the local restaurant, the Country Kitchen. “On November 4th, my life changes significantly one way or the other. Either an advocate for preventing fracking from harming the valley will be elected or not,” he says.